As marketing automation grows in popularity and accessibility, we are seeing more and more Quebec companies embracing these types of tools. Part of the learning curve for an automation platform is the ability to apply good data management, to ensure that data is used in an optimal way. This is how companies succeed in maximizing the value they create through marketing automation. Today, I’ll be discussing a few topics related to marketing automation and data. In the era of Big Data and other similar buzzwords, a too-often underestimated concept is the importance of having relevant data that you can take action on, rather than just a large quantity of data. Keeping in mind that in the context of marketing automation quality trumps quantity, it’s critical to capture and centralize the right data so you can use it to create the right triggers. As you develop a marketing automation plan, context is one of the most important elements to consider. That’s why you need to start your planning by mapping out your customer experience. 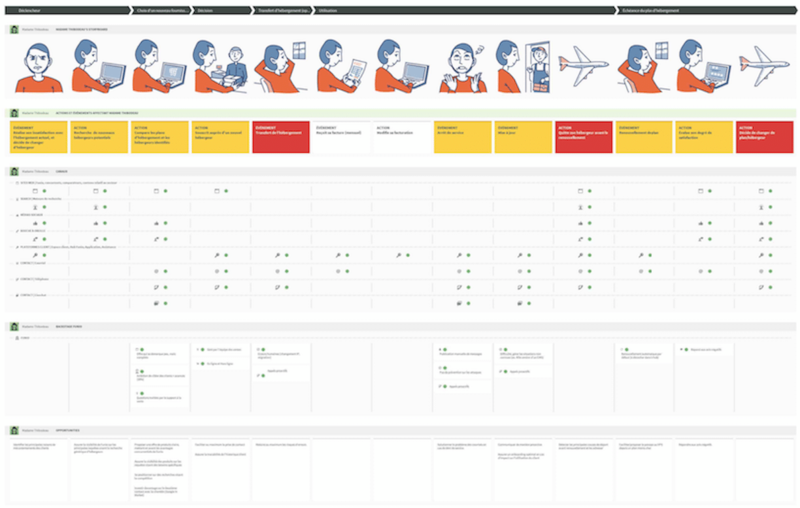 This map lays out the key moments in the customer journey where there is opportunity for automation, and helps identify both the actions to automate and the data that needs to be collected to trigger those actions. To learn more about triggers, I invite you to read the article my colleague Robin recently wrote. So, while mapping the customer experience allows us to identify key moments and data, we still need to be able to make that data accessible. To easily act on the right triggers, it’s often necessary to bring the information into your CRM. Why the CRM? Because it is the ideal place for a marketing automation tool to go to dig up the data that will allow it to trigger an action based on user behaviour. For example, you might be asked to trigger an automation action when a user hasn’t logged into your site in the past thirty days. If the date of the last login is stored in your CRM, it’s very easy to use this data to create an automation action. On the other hand, if this information stays hidden somewhere in your logs, you’ll never be able to take advantage of the full potential of the data you have, because the effort required to search for this data every time you need it would be prohibitive. With the omnipresence of analytics tools like Google Analytics, the issue is rarely about the creation of data, but rather about its accessibility. By identifying the data that will be relevant to your automation processes, you can then store this data in the right place and build powerful processes with minimal effort. That’s why you need to know how to capture and use the information in your relevant systems. By aligning your analytics plan and your automation strategy, you will be able to increase the relevance of your communications while reducing the effort required to do so. Consumers often interact with brands in multiple ways. For example, it’s not uncommon for a consumer to visit a brand’s website, engage on social media, and subscribe to the newsletter. To increase the relevance of automated communications, it’s essential to centralize all these points of digital contact that, it’s important to note, brands often possess without necessarily taking advantage. By using a centralized database, you have access to a ton of information that can provide a more complete picture of the customer-brand relationship. For example, rather than simply segmenting customers based on in-store purchases, you could instead create segments that also factor in non-purchase data, that often says much more about the consumer. That way you can decide to create different automation actions for your best customers, and for your most engaged customers. These data centralization tools are now easily accessible and many of them require minimal effort. 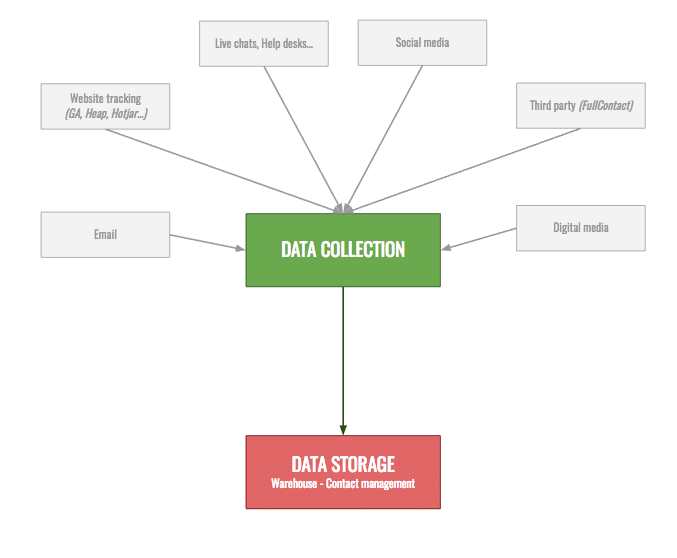 Among these tools, standouts include Stitch Data, which allows you to consolidate data from multiple sources, and Segment, which allows you to unify data from throughout your marketing stack. Of course, it’s not always easy to centralize information from different systems in your marketing stack. That’s why we recommend prioritizing platforms that integrate well, rather than platforms with particular characteristics. This article on the surest way to choose a marketing automation platform goes into more detail on this important aspect of designing your martech architecture. Triggers are actions that set off automated processes. A trigger could be as simple as a user visiting a price listing page and then turning them into a B2B prospect, or maybe sending a reminder if that visitor exits your site with an abandoned shopping cart. These are examples of what we call simple triggers. They are referred to as simple triggers because they don’t need to be adapted in any way, and can be used as is. There is a second class of triggers called compound triggers. The fundamental difference with compound triggers is that they need to be created before they can be used. Take for example a trigger often used in B2B situations, lead scoring. In this context, each prospect gets a grade based on the type of interaction they have with the company, as well as other key variables. To get this score, you need to run a calculation and create your triggers based on the data you have available. More specifically, if I want to give a score that evaluates the chances of a prospect making a purchase in the next month, I can build a prediction model. To feed this model, I need data—like the number of visits in the last month, newsletter open rates, etc. Only companies who successfully take control of their data will be able to successfully set up compound triggers. Of course, these triggers are more difficult to set up, due to the fact that your analytics plan needs to be connected to your automation strategy. Nonetheless, it’s this type of trigger that will allow you to increase the relevance of your marketing automation efforts and help increase your conversion rates. The thing to retain here is that marketing automation is highly dependent on your data and analytics capabilities. The more you develop these capabilities, the more you’ll be able to take creative approaches to your automated campaigns. Don’t take any chances—involve your analytics specialists early on in your automation projects and you’ll be sure to see your returns increase.